When it comes to your conservatory flooring, you want to make sure you achieve the look you’re after as well as stay in budget. There are plenty of options to choose from that will complement the room as well as being practical. We’ve put together 6 of our favourite conservatory flooring materials for you to choose from – whether you’re after wood or stone, there will be something for you. Granite is a very strong material that is known for its striking colour and looks fabulous when polished to give a high gloss finish. If your conservatory is going to get a lot of use, granite might be the perfect choice as it is hardwearing as well as stylish. Just ensure you’re not going to drop anything breakable onto the floor! Marble is one of our favourites here at Quotatis – it is elegant and stylish, and adds a luxury feel to your conservatory. 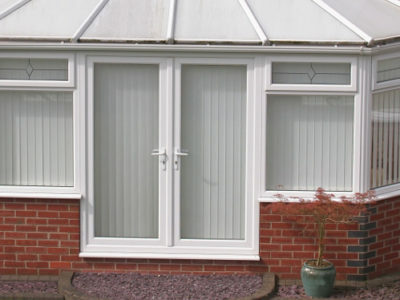 Marble is an excellent choice for anyone who will use their conservatory for entertaining family and friends. It does come with a price tag, though – marble conservatory flooring is one of the most expensive options, and could set you back £60 per square metre. But if it’s in your price range, you won’t be disappointed with the results. 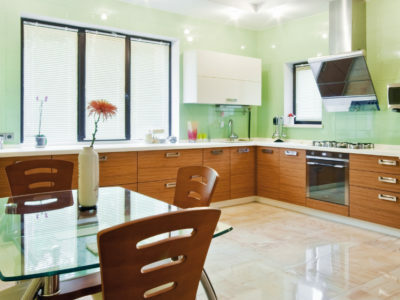 Ceramic tiles are an excellent option if your budget doesn’t quite stretch to marble or granite. These days, you can choose ceramic tiles that have a marble effect but cost much less. There are so many colours and patterns to choose from that whatever your style, you should be able to find something to suit your needs. And at an average of £10 per square metre, they’re a snip compared to other conservatory flooring options. If you’re not familiar with it, you’re probably thinking that bamboo flooring must be very weak and not a very good option for rooms that get a lot of traffic. But that’s not true. Bamboo is a great choice for conservatory flooring as it is hardwearing. But it’s also good for the eco-conscious amongst us, as it can be recycled and is harvested at 5 years rather than the decades that hardwood takes to mature. Expect to pay around £25 per square metre. Cork is an eco-friendly way to floor your conservatory and can produce some fantastic results. It feels warm under the feet and will never lose its shape. It’s a natural insulator so you should find you feel warmer in your conservatory without having to turn the thermostat up. Another great thing about cork is that it retains its elasticity and never loses shape. It’s also resistant to mould and damp, so you don’t have to worry about replacing the floor regularly. Oak is another luxurious flooring material that is well worth it if it suits your budget. Choose from a rich variety of colours and grains to get the exact style you want as there are so many species of oak from around the world that there will definitely be one for your needs. All of the conservatory flooring materials we’ve put together here have their own advantages and will look great in a conservatory. It’s just up to you to decide which one suits your budget and the style that you’re looking for.